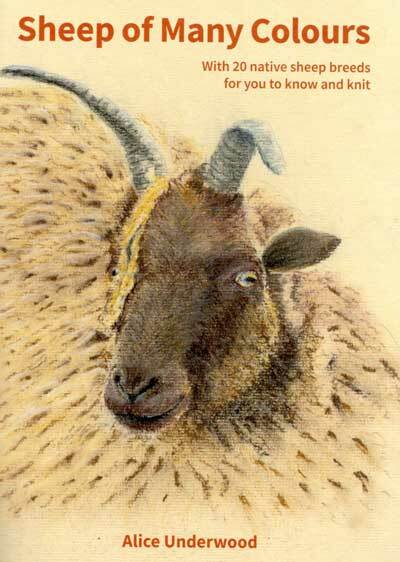 With 20 native sheep breeds for you to know and knit. This book results from an exhibition by The Wool Clip in 2018. Alice designed a baby blanket for this, emphasising that sheep aren’t just white. The first blanket she made was given to her recently born great niece! Sheep of Many Colours includes 20 knitting charts that were created for the blanket and information with photos of all the sheep featured, including her own Manx Loaghtans. How you use charts is your choice, but photographs are included giving some ideas and inspiration. The cover features charcoal and chalk pastel drawings of two of the breeds in the book. If you are buying only the book, please select the “Add to basket” option including £1.75 postage (to UK addresses only). If you are also buying other items on this website, please select the “Add to basket” option for the book only.